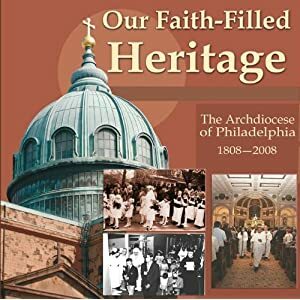 Our faith-filled heritage : The church of Philadelphia bicentennial as a diocese 1808-2008 by Father Philip G. Bochanski, general editor. Part I: "Many desired what you see" -- Planting the faith (1680-1808) -- Defending the faith (1808-1860) -- Expanding the faith (1860-1911) -- Living the faith (1911-1960) -- Renewing the faith (1960-2008) -- Part II: The fruits of faith: the parishes of the Archdiocese of Philadelphia. 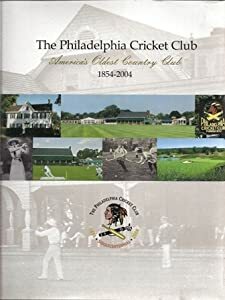 ntroduction: Philadelphia and Its Parks -- In the Beginning, Clean Water -- A Park Grows from Fairmount -- The Nineteenth-Century Park in a Booming Industrial City -- The Post-Civil War Period and the Centennial Exposition -- The Country Houses of Fairmount Park -- Historic Structures in Philadelphia's Parks -- Boating and Playing in the Park -- Rest and Recreation : Eat, Walk, Hike, Run, and Cycle -- The Philadelphia Zoo -- Performing Arts in the Parks -- Penn's Five Public Squares -- The Benjamin Franklin Parkway -- Parks and Transportation, an Evolving History -- Public Art in Philadelphia -- Fairmount Park : the Outdoor Museum -- The Parks' New Governance System -- The Greener City -- The City in a Park. Four paperback volumes packed into a beautiful hardcover case, Metropolitan Paradise is the definitive book on the relationship between natural and urban environments. Sacred to the Lenni-Lenape and to many early Europeans who settled in the area, the Wissahickon Valley has all the elements of "paradise" recognized in many cultures - the dramatic gorge with high cliffs, twisted rocks, dark hemlocks, sparkling water and the bountiful rolling terrain directly to the north beyond the city boundaries. Ironically, this paradise is part of a large, old North American urban region, suffering from all the troubles of the modern metropolis.The Wissahickon Valley is a microcosm of changes in the American landscape over the past 400 years. The lessons of its history, present treatment and future possibilities, are both universal and unique. The book is both a local journey and, by extension, an exploration of how to resolve the crises of a collapsing natural world. Today cities are exploding into complex, densely packed, multi-dimensional organisms. With six billion people on the planet and a projected nine billion within 50 years, almost everyone will be living in a megalopolis. This book is the story of a struggle to establish and maintain connected natural systems in one metropolitan area. The preservation and restoration of this valley is offered as a possible model for the world's cities.Sustaining natural lands within the matrix of an increasingly pervasive urban landscape is crucial. These places are our "canary in the mine." If they cannot succeed, all wildness is imperiled, impoverishing all life and ultimately threatening human survival. This book is the authors' contribution to a remarkable and widespread effort to restore the Wissahickon Valley and to envision a bold and imaginative future. Where to look -- My favorite team -- A's by the numbers : Eddie to Lefty, number 1-10 -- Big George to Joe, number 11-20 -- The Canadian war hero to Little Bobby, number 21-30 -- Eddie Sr. to Eric, number 31-40 -- Billy and Joe : all the way to Doyt, number 41-92 -- Unlisted numbers (Adkins to Zapustas) -- My favorite A's and why -- Afterthoughts -- The day Babe Ruth played for the A's -- Research piece : every player, every number, 1931-1954.